Trichloroisocyanuric acid is an organic compound with the formula (C3Cl3N3O3),it is disinfectant, algicide and bactericide. 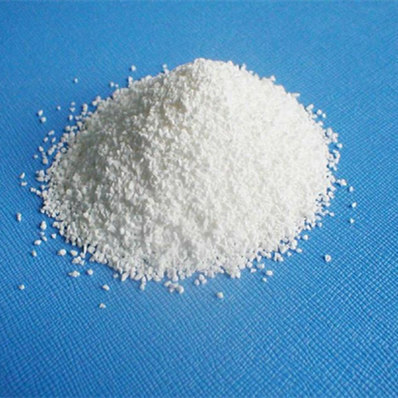 mainly for swimming pools and dyestuffs, and is also used as a bleaching agent in the textile industry. It is widely used in civil sanitation for pools and spas, preventing and curing diseases in animal husbandry and fisheries, fruit and vegetable preservation, wastewater treatment, as an algicide for recycled water in industry and air conditioning, in anti shrink treatment for woolens, for treating seeds and in organic chemical synthesis. Trichloroisocyanuric acid as used in swimming pools is easier to handle than chlorine. It dissolves slowly in water, but as it reacts, cyanuric acid concentration in the pool will build-up. At high cyanuric acid concentrations, normal chlorine levels can be rendered ineffective, requiring either dilution by draining and refilling the pool or by adding abnormally high doses of chlorine to overcome this effect.